Excursions give our students the chance to have experiences outside the confines of what can be provided on the school premises. 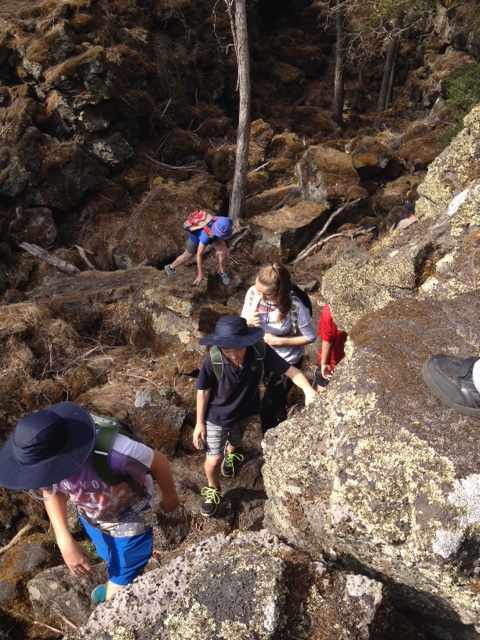 To help keep the cost down for parents, many excursions are subsidised by the Parent’s Club. On Friday 1st March students from our Turning Point campus attended the Avalon Air Show. The students attended a careers information briefing where they learned valuable information regarding careers in the aviation and aeronautical industry and looked at qualifications needed in the industry including apprenticeships, certificate courses and degrees. The main message from the briefing was that this is a growing industry area in Australia and if you are passionate about working in the field then there will be a job for you. Students were also treated to presentations from the Australian Defence Force which included excellent information regarding the growing industry in drone technology. After the careers presentation students were free to wander the airfield and take in the sights and sounds of the air show. Trish Crilly our Careers and Pathways Coordinator. The trip was offered by the NGV outreach program and generously fund- ed through a donation from Mrs Krystyna Campbell-Pretty. Mrs Campbell-Pretty and her late husband Harold are well known for their support of programs to promote access to the NGV. 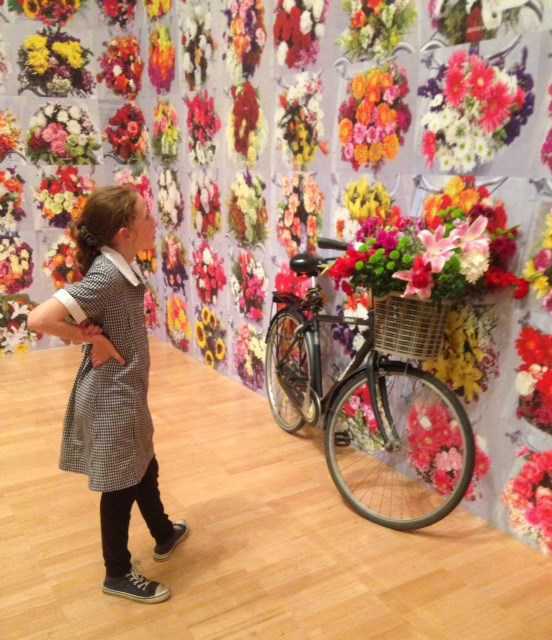 The NGV provided travel to and from Lavers Hill, exhibition entry, workshop and lunch. 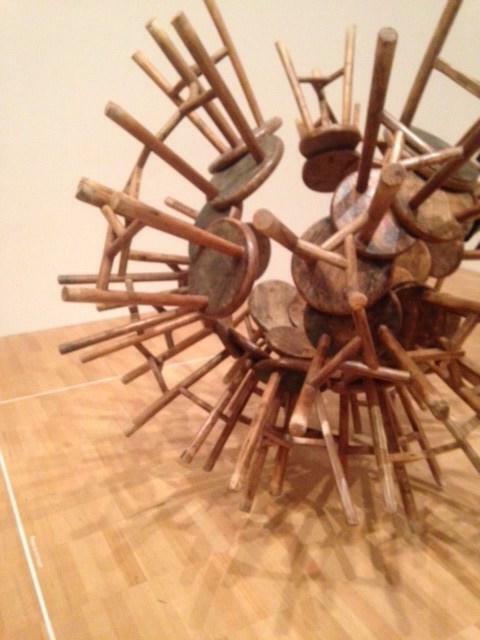 investigating this huge exhibition and identifying similarities between Ai Wei Wei and his hero Andy Warhol. After the exhibition we went back upstairs to one of the gallery’s beautifully equipped studios and participated in an hour long workshop called “Make Your Cup Count”. During the workshop students brainstormed a message or a cause that meant something to them personally. Later, in true Pop Art style, they transformed paper coffee cups to represent this cause. 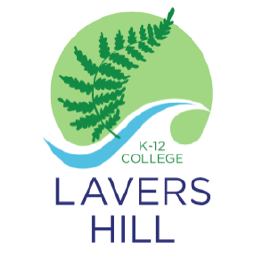 Last Monday and Tuesday, the middle years students from Lavers Hill travelled to Mt Eccles. 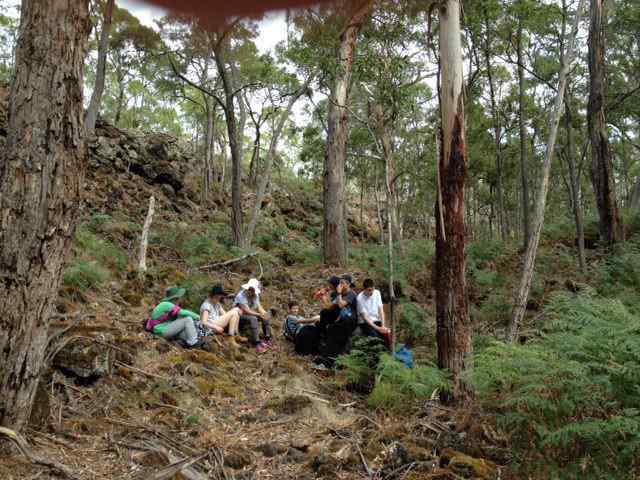 Mt Eccles is also named Budj Bim by the Gunditjmara people. That means ‘high head’. We have been studying volcanoes and were interested to see a dormant volcano. This volcano has the most recent activity in Victoria. We went on a hike, the ‘Lava Canal walk’. It was interesting to see lava canals, tunnels and blisters which we think were grown over with vegetation. The walk was difficult as we were walking over basalt and the ground was uneven but the magnificent view of Lake Surprise at the end of the hike made it all worthwhile. Later, after setting up our tents, we lit a fire and also cooked our dinners on methylated spirit stoves. There were a variety of menus but most groups prepared an entrée, main meal and dessert so no one went to bed hungry. Toasting marshmallows on the coals was quite popular with some. The evening was clear and the stars bright, so we ventured to the picnic ground to play Home 44. John scared Mrs O by hiding under the table and grabbing her leg. Jaryd, Matt and Tom were visited in the night by some inquisitive possums that were poking around for food. The possums made some weird noises throughout the night. We were fortunate to have Peter Moore from Parks Victoria come to talk to us on Tuesday morning. We had heaps of questions to ask him and he did a good job answering them all. This was the first experience camping in a tent for some of the group. I wonder if they’ll do it again! 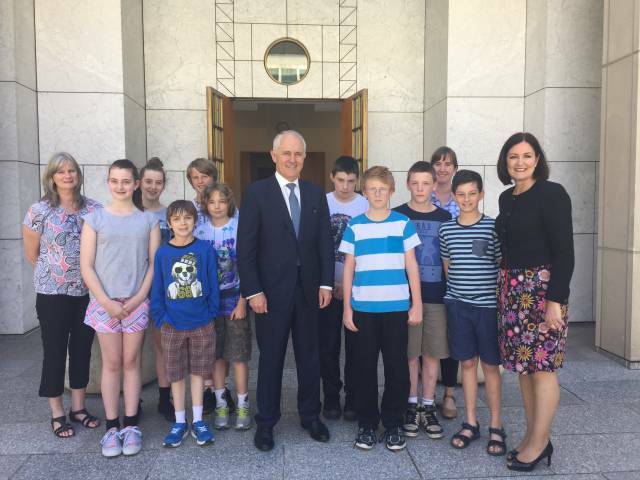 Middle Years students and teachers met the Prime Minister during a behind-the-scenes tour of Parliament House organised by Corangamite MP Sarah Henderson. 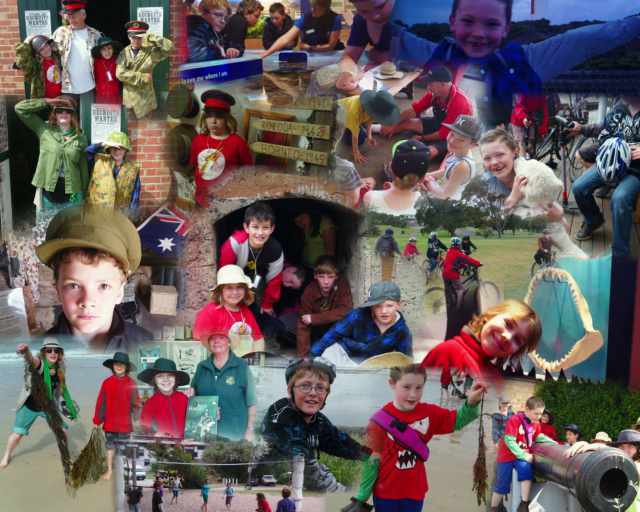 The Grade 3/4s had fun at YMCA’s Camp Wyuna in Queenscliff. 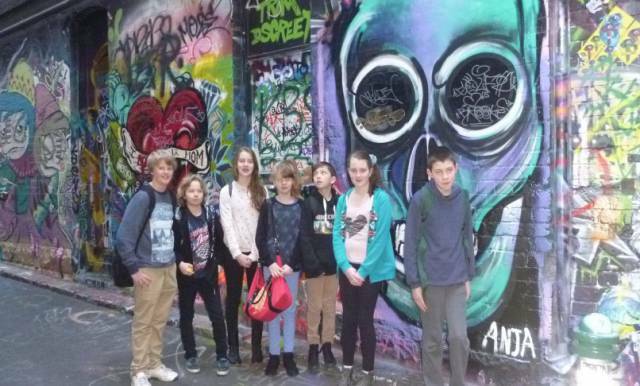 Year 5-6 Camp was in Melbourne last week. We ascended to the top of the Eureka building, taking in the great views and preparing to go out ‘onto the Edge’. This was a moment of truth, to have the solid floor turn to glass and to seem to be floating above the city. What was reassuring was the students’ excitement as the adults adjusted to great sense of space and the skyline. Afterwards we set off in search of hot chocolates or ice-creams. As we explored Southbank we found a Lindt shop which was an absolute delight. It was a pleasure to talk with the students and hear of their vivid urban experiences. A big thank you must go to Anne and Sue who led the camp and provided the students with a great series of new challenges and support.